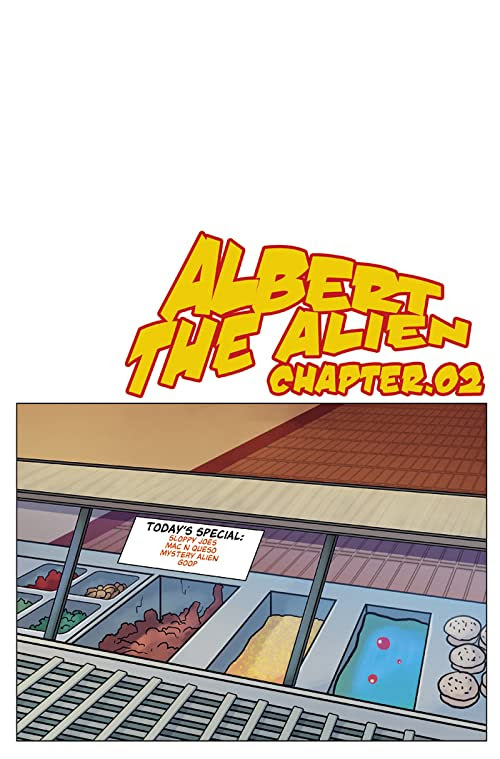 Albert the Alien continues to update on Comixology, with chapter 2 launching in the traditional vertical format. Lettered by: Gabriel Bautista, Jr. Colored by: Gabriel Bautista, Jr.
Art by: Gabriel Bautista, Jr.
During lunch, Albert’s favorite alien snack starts eating the kids lunches – and all of the food in the school. The more it eats, the larger it gets until it’s too big to be contained by the building. Can Albert and his friends save their school before the end of their lunch break?